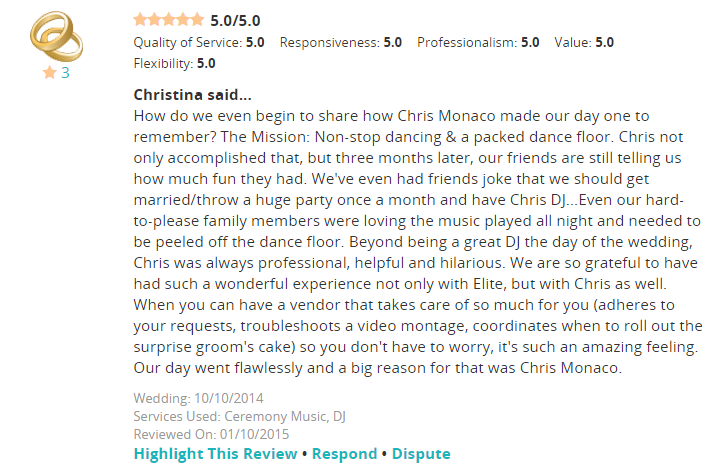 Chris has been involved with Wedding Receptions for about as long as he has been walking. 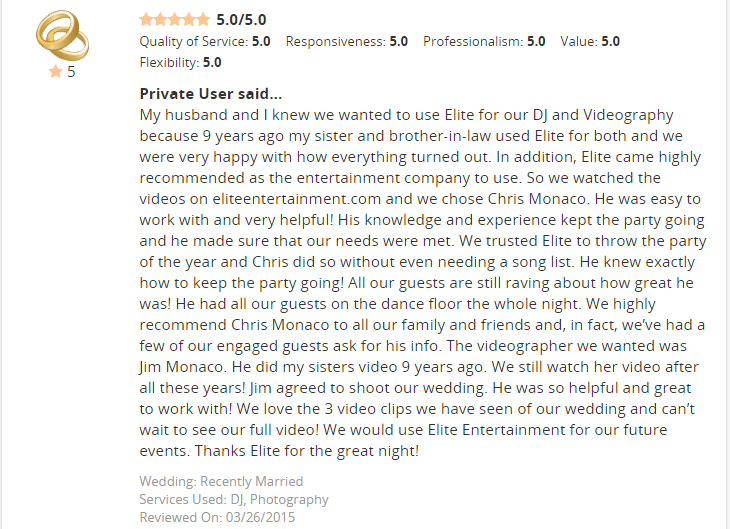 When he was a child and young teenager, he helped his father videotape and edit weddings. 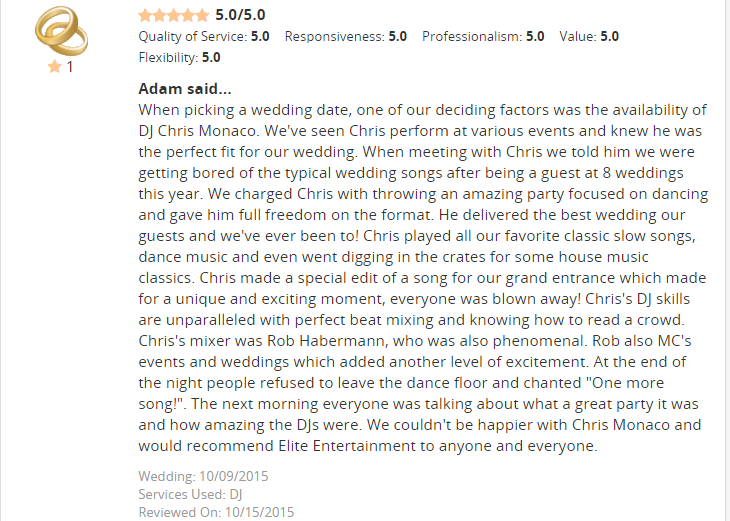 As Chris matured, his outgoing personality and love of music pulled him towards the entertainment end of weddings and he’s found much success as an emcee with Elite for over 10 years now. 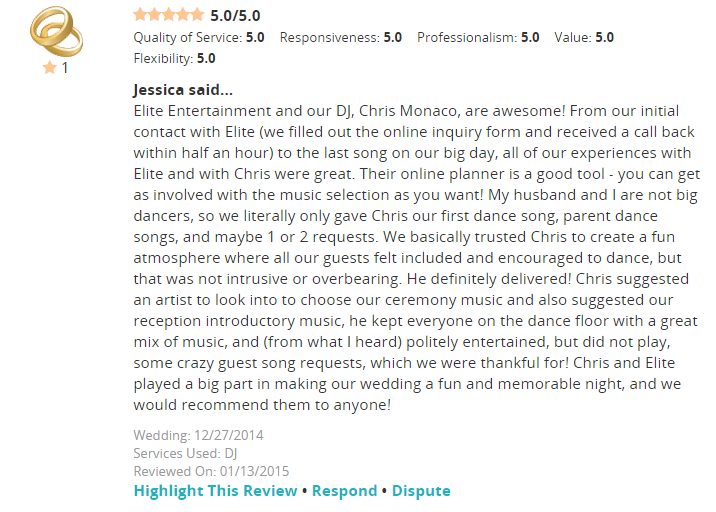 Chris is one of those entertainers who lives and breathes music. 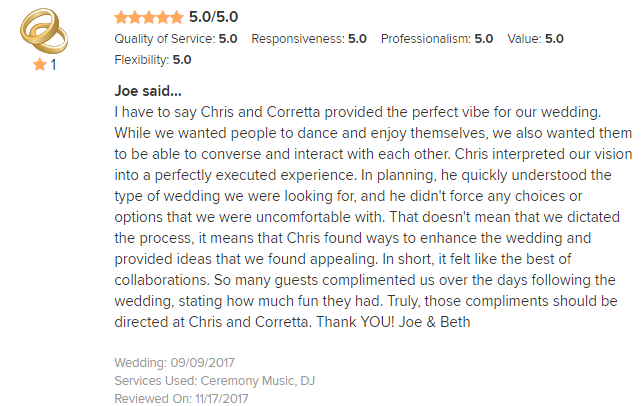 Besides performing at over 60 weddings a year, Chris also remixes songs and produces some of his own music tracks in his studio. 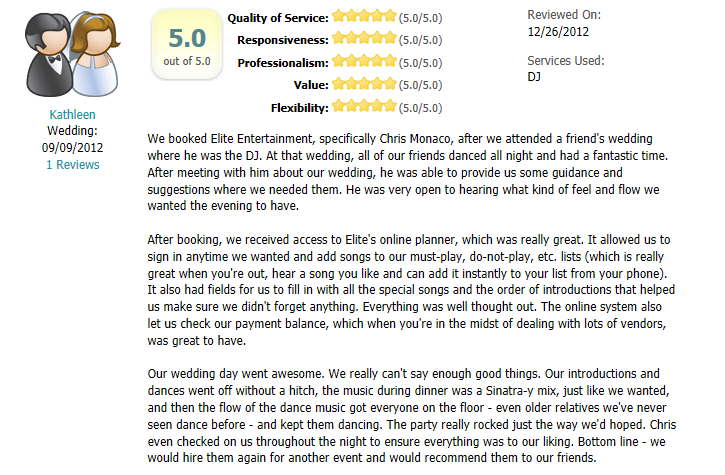 He has DJ’d in some of the top clubs in the tri-state area and has even made a guest appearance overseas. 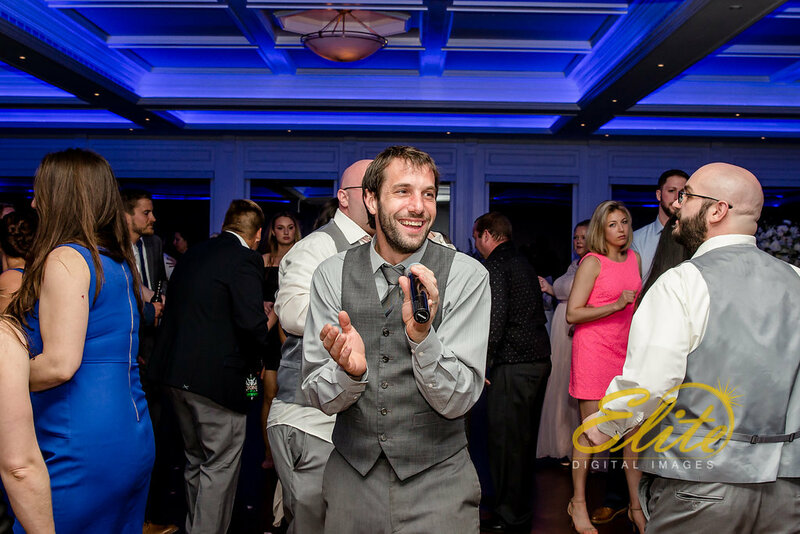 His quick wit lends a hand to his amazing emceeing capabilities in any situation. 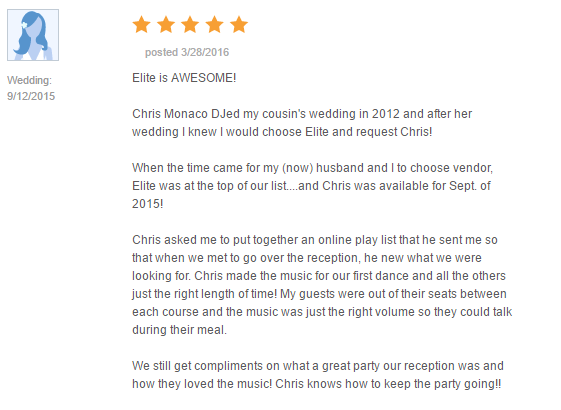 Chris’ exceptional music programming and flawless dance music mixing gives him the ability to take every party to a higher level than most DJs in the business. 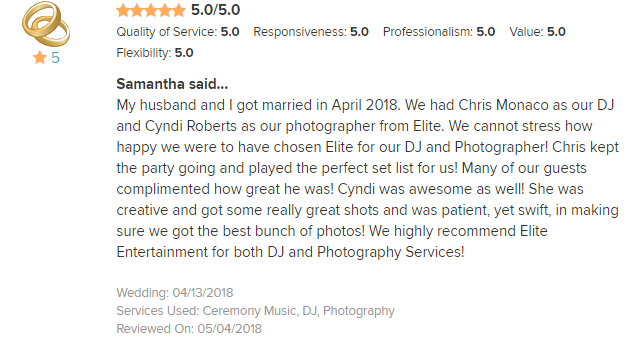 Chris is also a co-owner of Elite Video Productions lending his incredible editing skills and experience to so many couples. 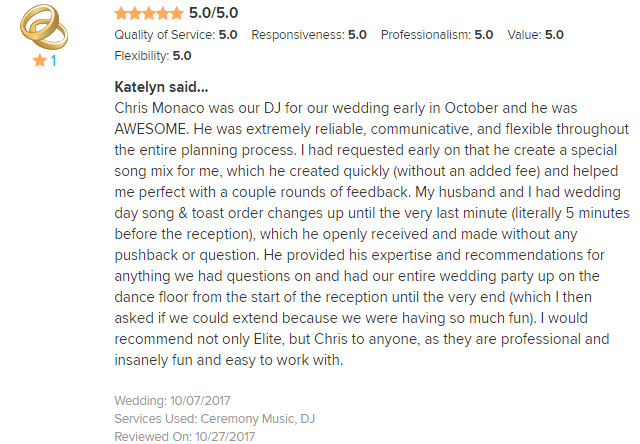 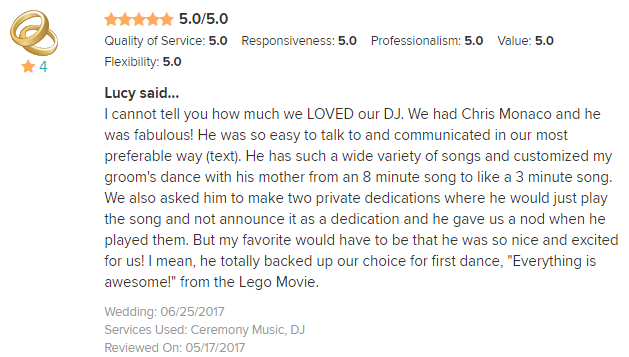 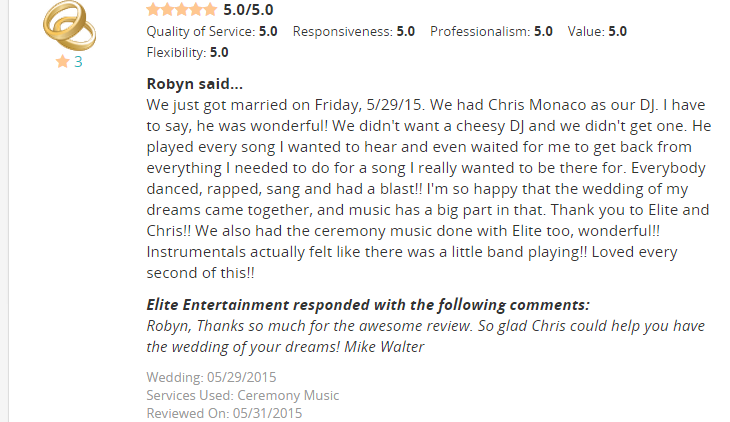 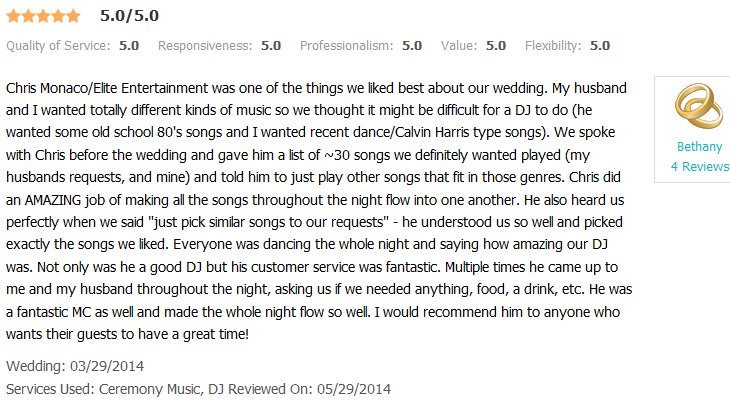 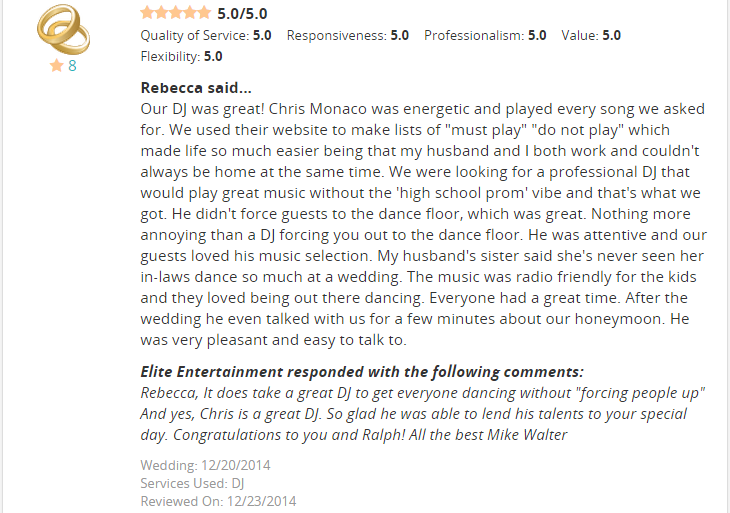 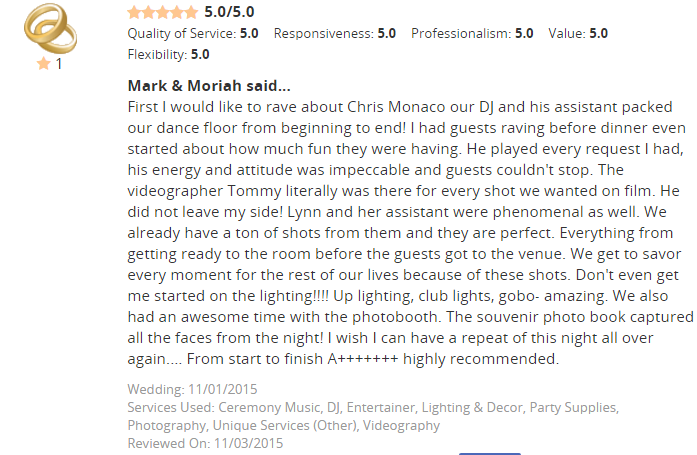 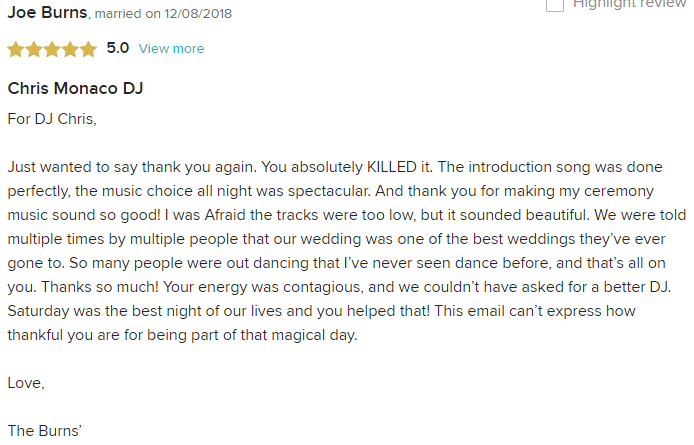 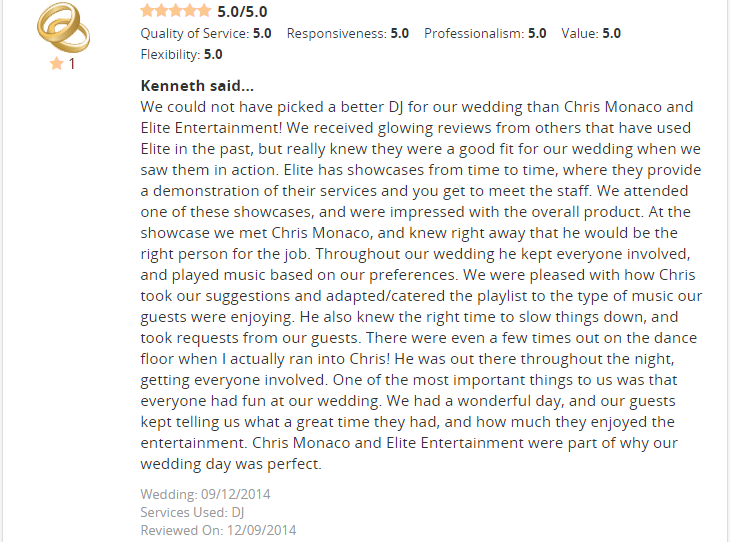 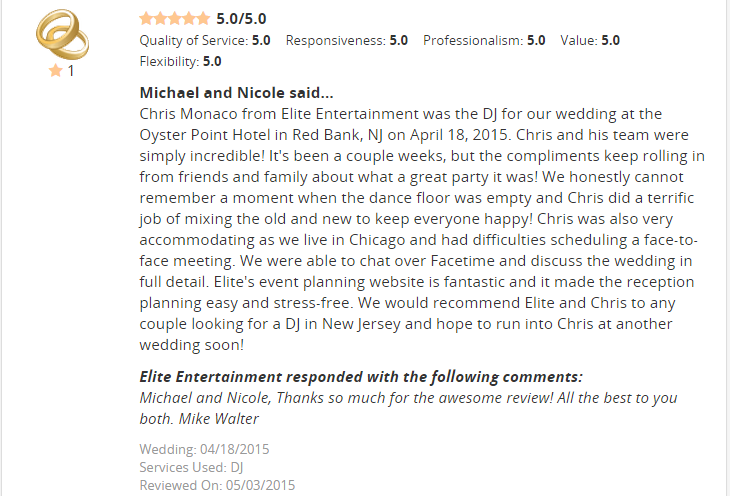 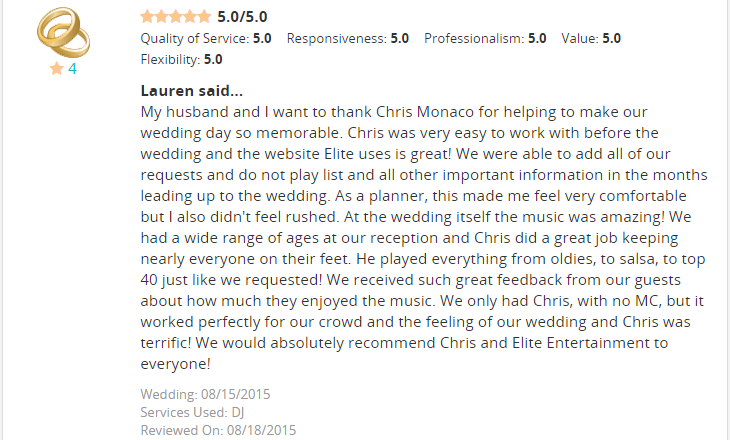 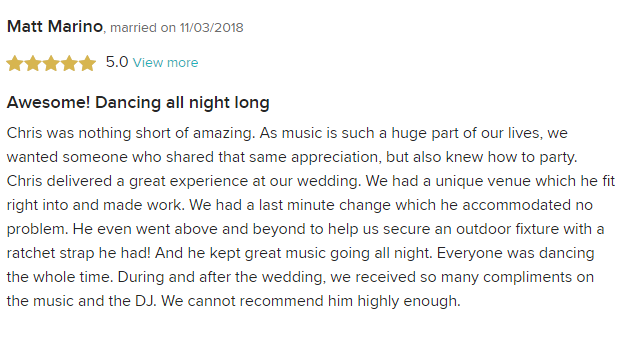 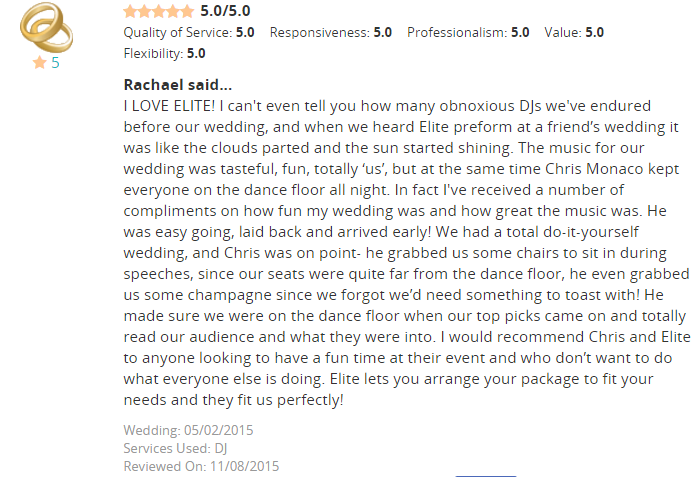 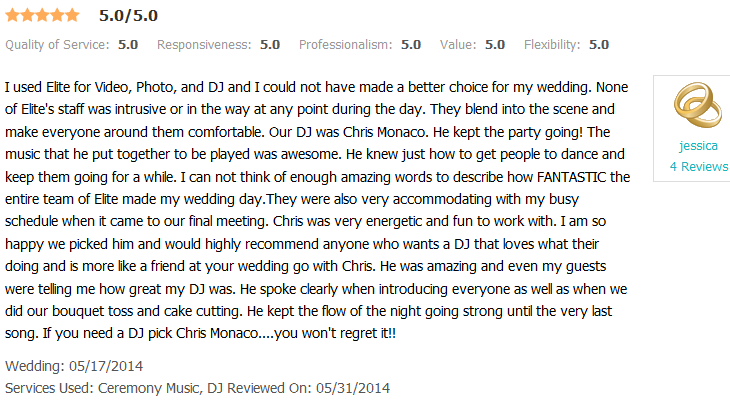 As one of the most recommended DJs by not only brides who rave about him, but also the many wedding professionals that love working with him, Chris usually books over a year in advance.